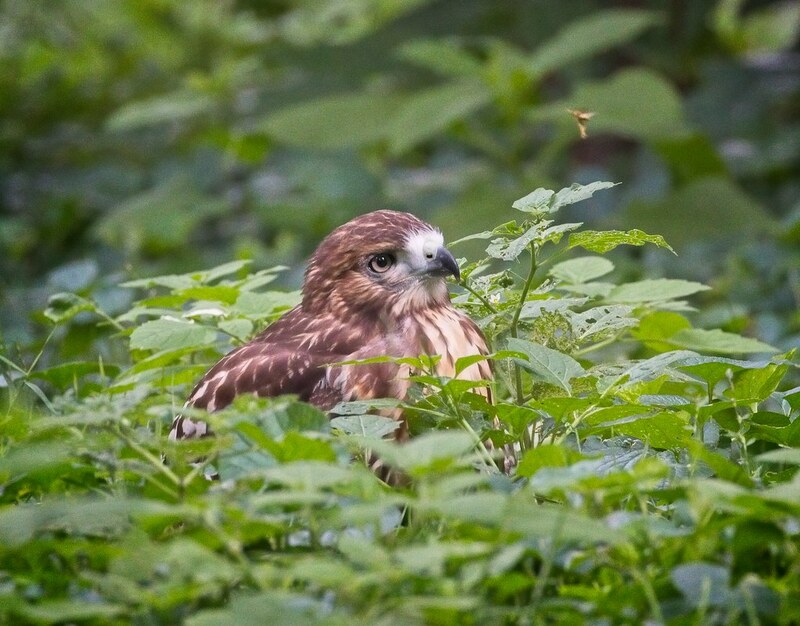 We've been enjoying the recent antics of the younger red-tailed hawk fledgling in Tompkins Square Park, but its older sibling has not fared so well. While the younger hawk has been playing on the lawns and chasing after pigeons, the older hawk has remained high in the trees on the east side of the park. We thought maybe it was just taking its time before deciding to join its sibling, but today it became obvious that the hawk was not feeling well. When I arrived in the park this afternoon, other hawk-watchers said the fledgling had been on the ground for almost an hour. 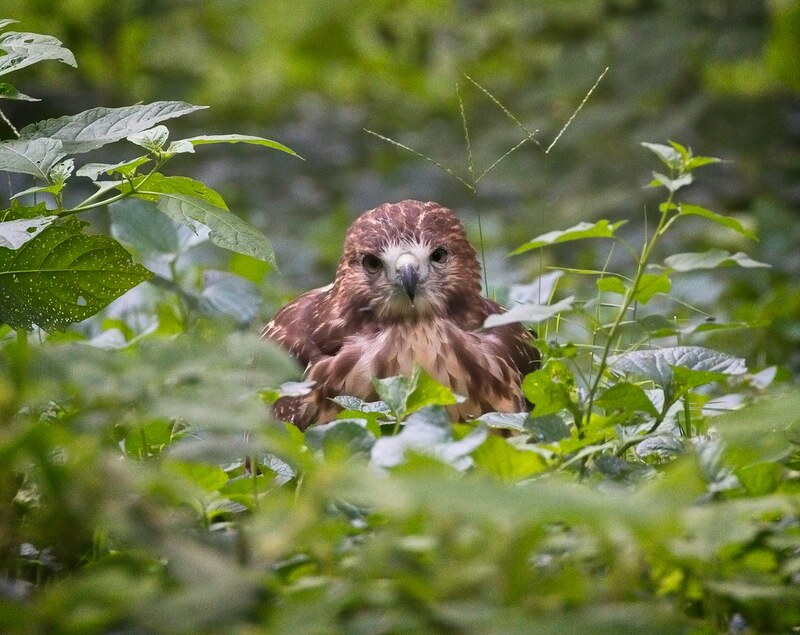 The young hawks do spend a lot of time on the ground, but this one remained in the same spot and kept closing its eyes, which is not normal. 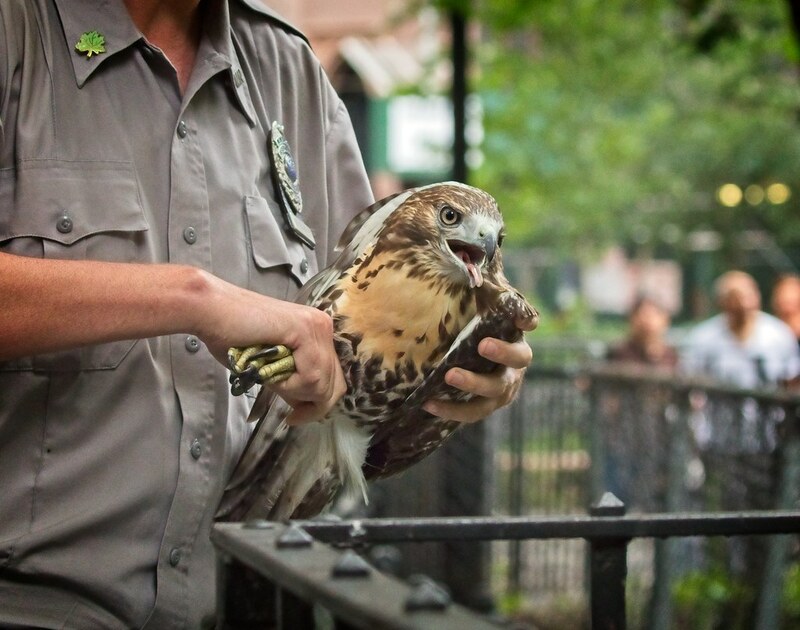 NYC Urban Park Rangers Rob and Nick responded, netting the hawk and examining it. Below is video of the capture. 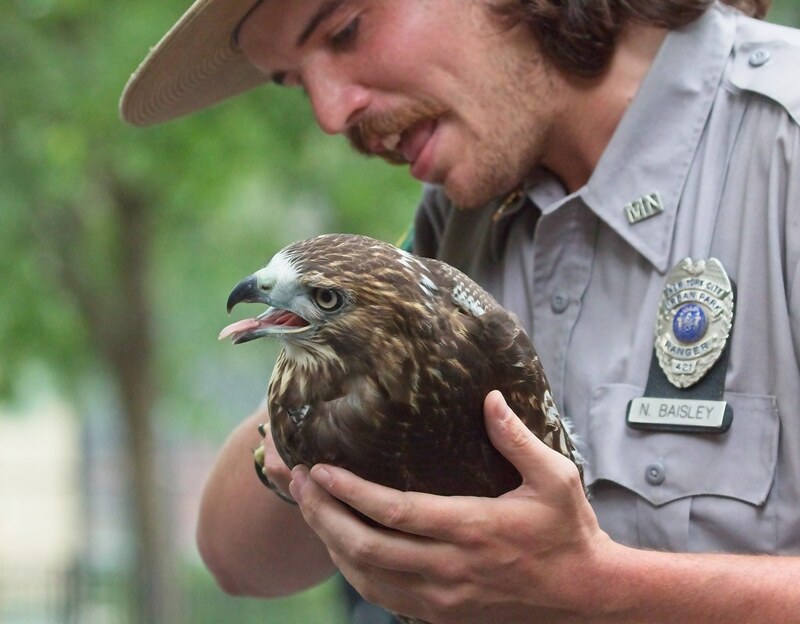 As always, the Urban Park Rangers were so nice and let people take a close look at the hawk before transporting it to the Animal Medical Center for testing and evaluation. 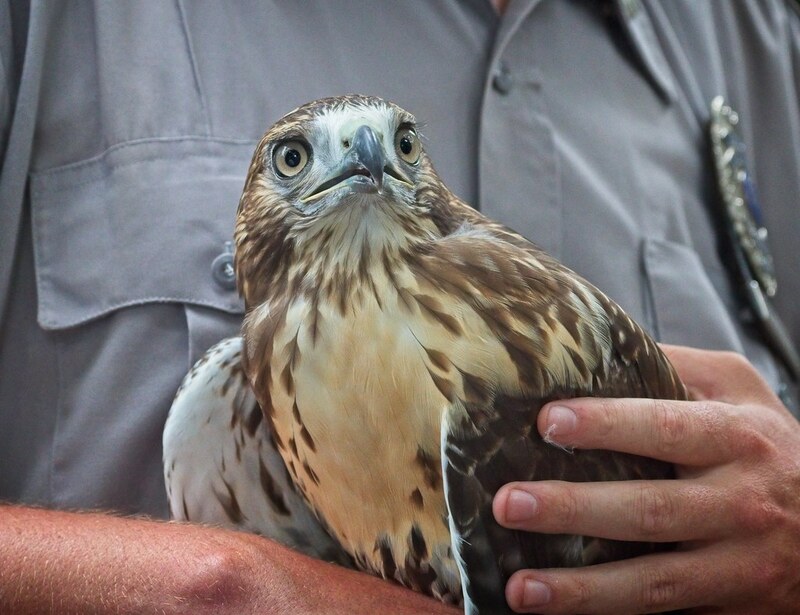 At this time, it's unclear what is ailing the hawk, but we'll update once we know conclusive results. 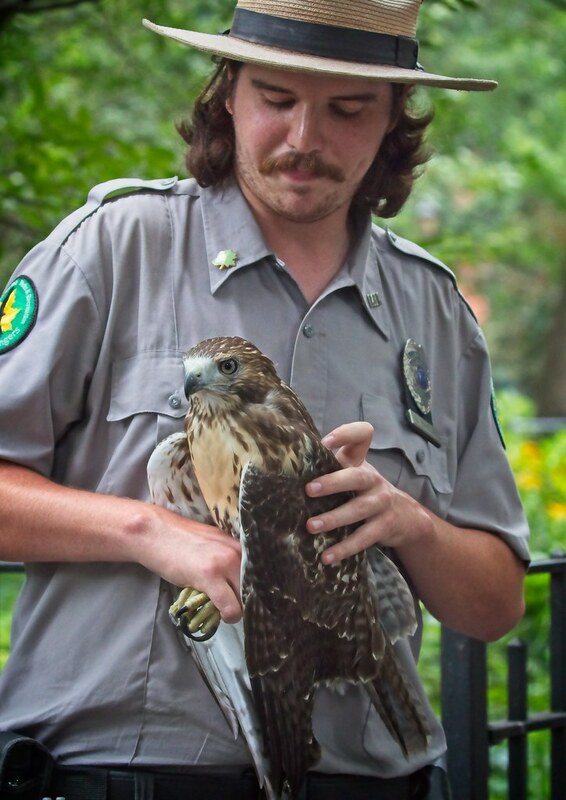 Thank you so much to NYC Urban Park Rangers Rob and Nick!